« Did the ancient philosopher Demonax exist? We know how it goes. An episodic account of events sometimes connected by a causal link, sometimes connected thematically, sometimes not connected at all, followed by a dramatic passion narrative. Jesus is given a narrative setting as an authority figure accomplishing his divine mission; the witnesses to the miracles and teachings indicate to the readers how to respond to Jesus. The narrative structure is a common pedagogical technique for maintaining audience interest in the message, not unlike the way Plato has woven narratives around some of the teachings through Socrates, especially his own passion or death scene. Both Matthew and Luke build on Mark and Hägg goes with the current prevalent thesis that Luke wrote independently of Matthew. Both of them add detail about Jesus’s background, birth and childhood. 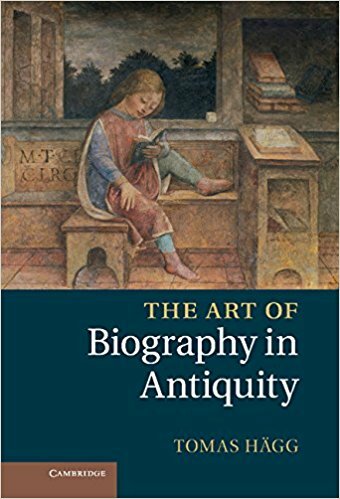 At least part of the reason for these additions was surely biographical curiosity: was Jesus’ birth and childhood indicative of what he would become as an adult? what sort of family did he come from? etc. Family life continues to be described not from the perspective of the hero of the story, but from that of his mother’s husband. Jesus is just referred to as to paidion, the child or infant, and is never the grammatical subject. We then read chapter 2 and the story of Herod, the slaying of the infants and flight into Egypt and return. The narrative establishes the divine status of Jesus but whenever the narrative returns to the family of Jesus we are always given the perspective of Joseph, his fears, revelations and decisions. In those days John the Baptist came preaching in the wilderness of Judea . . .
and are immediately taken to Jesus’ baptism, wilderness temptation and beginning of his adult ministry. without at any point placing Jesus the child in the centre of his narrative. His perspective has been to underline how Jesus from the start was a fulfilment of old prophecies and divine promises; but the only person in the family into whose mind we are granted insight is Joseph . . . It appears that Matthew had no source material about the early life or birth of Jesus from which to draw. He only “half-heartedly” takes the smallest of steps towards writing a “Life of Jesus”. Luke develops more material for the birth and childhood of Jesus, but is even more idiosyncratic than Matthew in how he introduces it. Luke may tell readers from the outset how he is setting out to write his gospel but he does not tell us that it is about Jesus at all. We read through his prologue, then we read unfolding details about an elderly priest Zechariah, and his wife Elizabeth, and a visiting angel, . . .
An “intimate family atmosphere” finally appears in Luke’s story of the happy meeting between the two mothers, Elizabeth and Mary. 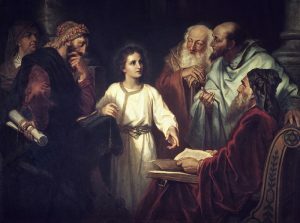 This is the first time we encounter anything so personal in the gospels; Matthew failed to develop anything similar; and we see here the inspiration for subsequent infancy gospels in the apocryphal traditions. Luke develops the narrative more fully with graphic details about the actual birth of Jesus, as when Mary “wraps Jesus in bands of cloth and laid him in a manger”. He also points to the universal significance of the event by relating it to a census ordered by the Roman emperor and an angelic announcement to shepherds in a field who soon spread the message far and wide. But the colour fades with the next two scenes matter-of-factly stating that Jesus was circumcised and named (contrast the elaborate detail of the naming of John) and then presented at the Temple. Posted on 2017-08-10 09:24:12 GMT+0000 by Neil Godfrey. 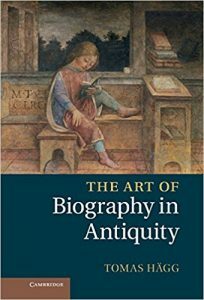 This entry was posted in Biblical Studies, Greco-Roman Biography and tagged Genre of the Gospels, Hagg: Art of Biography in Antiquity. Bookmark the permalink. Jesus does have some personality. I would equate him with a middle manager who resigned to take the blame for a mistake that his team made so his team would get to keep their jobs. Of course, the whole team quitting to go and work for this guy is missing the point of his action. Perhaps Schmidt’s most important argument against people like Burridge was that judging the gospels by their content is simply not enough. We have to look at form, as well, because it’s the form in which we find them — their framework as a whole, the types of stories they contain, and how they relate to the cult from which they arose — wherein we can discern their origins. Beyond that, it’s what they lack that sets them apart from other biographical works.